The impressive design of this half eternity wedding band symbolizes the strength of a bond that transcends time. It is crafted from 14k white gold that drapes the ring with an elegant sheen, while the lab grown diamonds that partially adorn the shank captivate your gaze with their sheer brilliance. These eco-friendly gems are pave set within expertly crafted leaf motif frames that also feature milgrain detailing around the silhouette for a truly mesmerizing look. 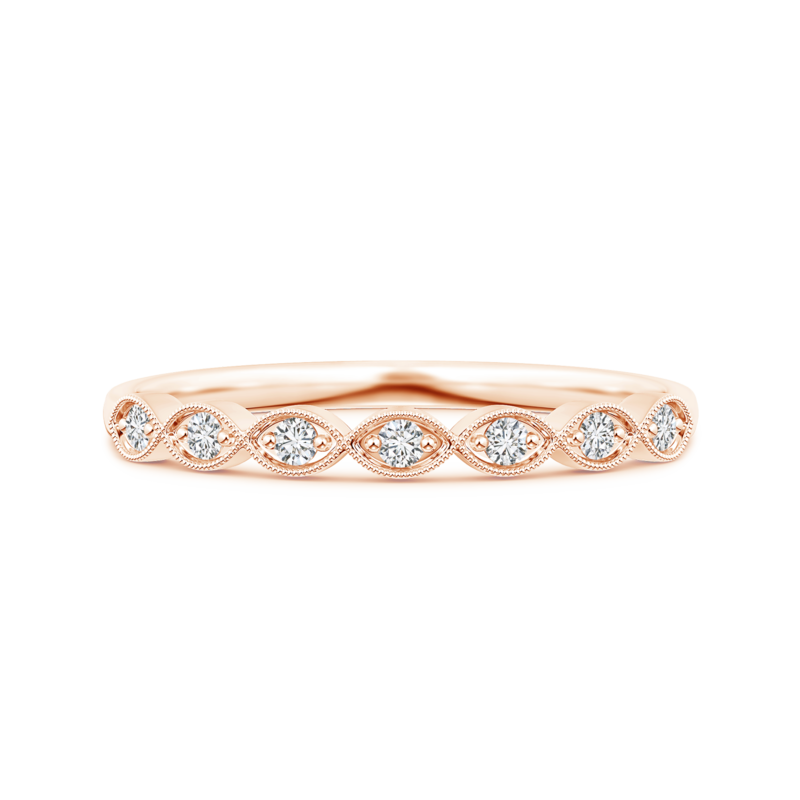 This wedding band showcases the perfect blend of expert craftsmanship and the purity of lab grown diamonds.